The company that runs the funicular railway and snowsports resort on Cairn Gorm has gone into administration. The railway, on Britain’s sixth-highest mountain, has been unable to run since October due to structural problems. CairnGorm Mountain, which leases the site and funicular on the northern flanks of the 1,245m (4,085ft) munro, said last month that the extended period of closure on safety grounds would have serious implications for the company’s commercial operation of the business. Highlands and Islands Enterprise said it was expecting today’s announcement. The agency’s chief executive Charlotte Wright said: “The directors’ decision to put CairnGorm Mountain Ltd into administration is an outcome that HIE had anticipated, and we are well prepared. “Our first priority is staff members and their families, as well as other local people who will be affected by this decision. “We are already in direct contact with the administrator, and confident that Cairngorm will remain open for business. She said £1m-worth of snowmaking equipment, paid for by HIE, has arrived and will be set up on site as soon as possible. “This will provide reliable snow cover for visitors on the lower slopes, creating good conditions for beginners and families especially. The agency owns the Cairngorm Estate and was in charge of operations from 2009 until 2014, when CML was appointed to operate the resort. Joint administrators Blair Milne and Derek Forsyth of Campbell Dallas said they will continue to run the business while looking for a buyer for the resort as a going concern. There are no immediate plans to make any redundancies among the 70 staff, the company said. The funicular railway was opened on Christmas Eve 2001 at a cost of £20m. About 300,000 visitors use the line each year for both snowsports and outdoor pursuits. The 2km-long facility is the highest mountain railway in the UK. It closed last month to investigate problems with the structure that supports the funicular. The closure of the railway has caused cashflow problems for CairnGorm Mountain, which had a turnover last year of £3.5m. 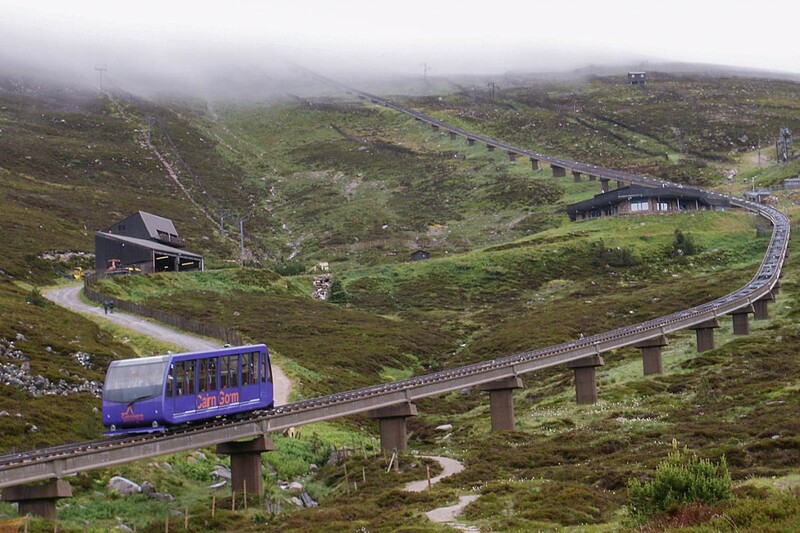 Mr Milne said: “Due to the extended closure of the funicular railway at CairnGorm Mountain, for safety reasons, the business has become unsustainably loss-making. “The directors of the business had been in discussions to try to find suitable solutions, including a managed transfer of the business to another party. However, those negotiations did not progress.